Unlocking the oil and gas reserves lying under South Africa’s land and seabed could propel the country onto a path of development and prosperity, but before that can happen, the resources have to be explored in a proper manner that satisfies stakeholders and the law. The important responsibility of regulating exploration falls to Petroleum Agency SA. 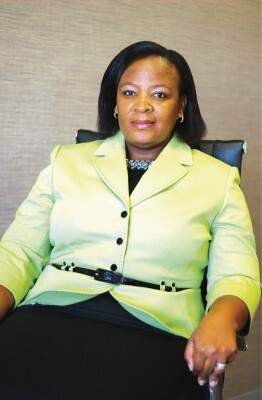 We spoked to acting chief executive officer Lindiwe Mekwe to find out more. Please tell us about the Agency's purpose and mandate. Petroleum Agency SA is South Africa’s state-owned company established through a Ministerial Directive in 1999. The Mineral and Petroleum Resources Development Act came into operation on 1 May 2004; the Agency received its mandate to operate in terms of this Act. 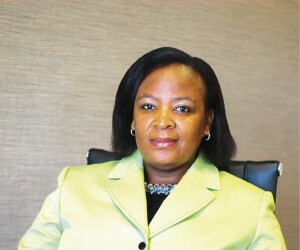 In carrying out its mandate, the Agency is responsible for the promotion of exploration, development and regulation of South Africa’s oil and gas resources. The Agency is thus expected to act as the national archive for oil and gas exploration and production data and distribution of all geological and geophysical data to would-be explorers, to appraise potential for oil and gas within South Africa, to promote and regulate exploration and development of oil and gas resources, and to raise awareness of petroleum resources at national level. With regard to operating in the sector, the regulations that must be adhered to are the MPRDA; terms and conditions of exploration and production rights that incorporate good petroleum industry practices; and also those in respect of matters that find their origins in the Liquid Fuels Charter, the National Environmental Management Act, the National Water Act, the Mining Titles Registration Act and the Mine Health and Safety Act. A number of exciting developments have taken place recently. What are the highlights? Although there have been no oil and gas discoveries in the past year, drilling activity is about to resume this month, where Total and partners are targeting the Paddavissie Prospect for oil. Then there are some promising areas for exploration. Natural gas has been discovered off the west coast of South Africa in the Atlantic Ocean (Ibhubesi gas field) and off the southern coast in the Indian Ocean (F-A, E-m and other fields of the Bredasdorp Basin). Both areas have great potential. The period before the recent drop in oil prices saw unprecedented interest and a record level of activity in petroluem exploration in South Africa, and exploration interest remains high. The demand for energy has surpassed supply, therefore alternative energy sources are being looked at to deal with the ever-growing demand. Petroleum Agency SA, together with the Council for Geoscience (CGS) and the Department of Mineral Resources (DRM) is conducting extensive studies into South Africa’s potential shale gas resources. This work focuses on the reserves and the technology that is required to get the gas out of the ground and into the value chain. Other operations of interest include exploration of the deep water and ultra-deep water of the southern Orange Basin by Anadarko together with PetroSAm and exploration by Sungu Sungu Petroleum. There is continued interest in the ultra-deepwater of the northern sector, and it is the Agency’s opinion that there is great potential for both oil and gas reserves in this basin. The east coast, off Kwazulu-Natal, currently being explored by Eni and ExxonMobil, is also considered to hold great potential. The deep water of the sourthern offshore is soon to be tested by Total and holds the possibility for large oil reserves. Is SA likely to become a major shale gas producer? Petroleum Agency SA’s current estimate of technically recoverable shale gas resources is 207 trillion cubic feet (Tcf). This represents a substantial potential source of energy. However, it will require a great deal of exploration and appraisal before these estimates can be proven as actual reserves. Production will then depend on many factors including economic viability, environmental impact and social acceptance. How do environmental considerations influence the decision to grant an exploration license? The issuing of an environmental authorization as prescribed by the National Environmental Management Act of 1998 (NEMA) is a prerequisite for the granting of an exploration license. NEMA makes it clear that potential consequences for or impacts on the environment of exploration activities must be considered, investigated, assessed and reported to the Minister of Mineral Resources. Accordingly, environmental considerations play a role in the decision-making process. The process of assessing an application for an exploration license will involve a consideration of potential consequences for or impacts on the environment of exploration activities, including mitigation measures to minimize the potential impacts associated with exploration activities. Accordingly, if the proposed mitigation measures are not able to minimize the potential impacts associated with exploration activities, the law enjoins the Minister not to grant the environmental authorization and therefore exploration license. It is our view that the entire legislative framework governing exploration activities, including NEMA and the MPRDA Regulations intended to ensure safe exploration activities by prescribing exploration standards to promote, among others, well integrity, are sufficient to protect the environment. The Agency’s role is to assess environmental authorisation applications to determine, among others, the robustness of proposed mitigation measures to effectively minimize potential impacts arising from proposed exploration activities and advise the Minister accordingly. After licenses are granted, the Agency undertakes monitoring and enforcement of compliance with the conditions of the granted environmental authorizations means to ultimately protect the environment. How is the Agency’s Upstream Training Trust helping to ensure continuous skills development to meet future capacity needs? The Upstream Training Trust was established as a non-profit organisation in 1997 by PASA in collaboration with the companies participating in the South African off- and onshore oil and gas exploration. The organisation’s main focus is to promote the provision of specialist skills in the petroleum industry with the key objective of supporting the ongoing oil and gas exploration in South Africa. The Upstream Training Trust seeks specifically to assist in the training of specialist skills in the fields of natural science, engineering and technology. Since its inception, the Upstream Training Trust has successfully funded a number of students in an attempt to provide specialised manpower required in order to continue the search for oil and gas and ensure that South Africa has the skilled human resources available to do so.